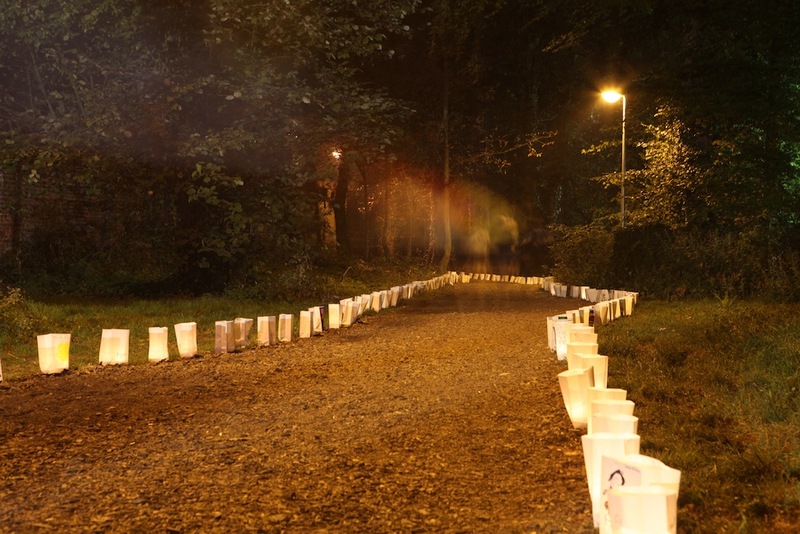 The Luminaria ceremony is one of the key moments of a Relay for Life. It has a triple symbolic purpose: to commemorate the people who have passed as a result of cancer, give hope and support those suffering from cancer and celebrate people who have overcome the disease. Anyone can make a donation toward a candle and place it in a paper lantern on which a name, a wish, a message can be written. The candles are then placed along the track and lit when night falls. Each light is a sign of hope, consolation and memory.